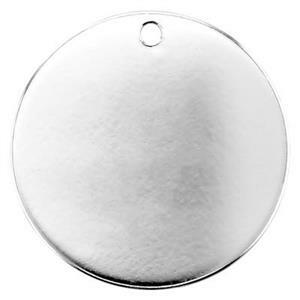 A cast silver blank with a mirror finish for beatiful custom stamping or engraving. Large diameter easily fits a word or phrase. A great choice for layered stampings or focal pendants. These are very nice sterling stamping blanks. They have a good weight and each has a very tiny .925 stamp on the back.